Unlike 2014, when it was a clean sweep for BJP on all 14 seats of western UP, this election is considered a tough one for the party candidates. 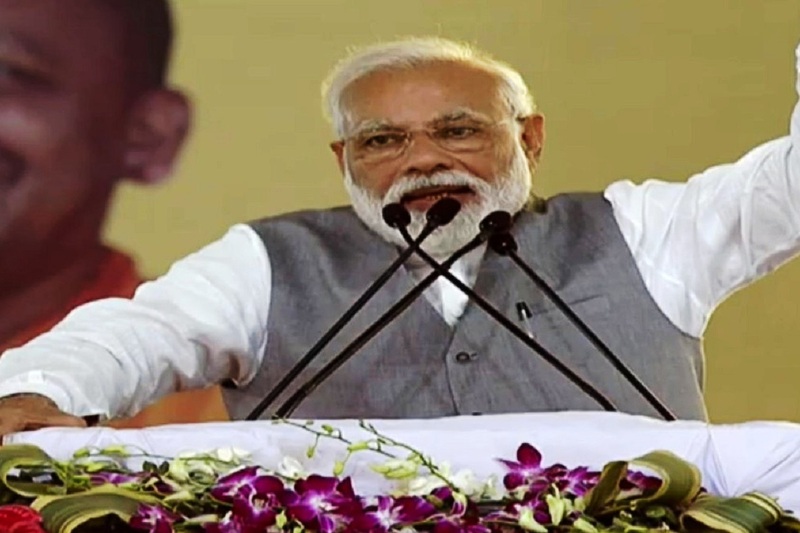 Prime Minister Narendra Modi will start the election campaign for the 2019 Lok Sabha election from here on March 28 for which the preparations are in full swing. Interestingly, PM Modi had kicked off the election campaign for the 2017 assembly election and 2014 Lol Sabha election from here only and in both the elections the BJP won a massive mandate. Hence, this time too, the party leadership is hoping to repeat the previous performances. According to BJP’s media in-charge Gajendra Sharma, in 2014 and 2017, PM Modi started the election campaign from Shatabdi Nagar, but this time the venue has been changed to a place near Sivaya which is at the border of Meerut and Muzaffarnagar constituencies. Sharma claimed that people of all the constituencies of Meerut and Saharanpur will be attending the rally. BJP candidates for the seven seats of Meerut and Saharanpur divisions include Raghav Lakhanpal (Saharanpur), Sanjeev Baliyan (Muzaffarnagar), Pradeep Chaudhary (Kairana), Rajendra Aggarwal (Meerut), Satyapal Singh (Baghpat), VK Singh (Ghaziabad) and Mahesh Sharma (Gautam Budh Nagar) for which voting will take place on April 11 during the first phase. BJP sitting MP Kunwar Bhartendu will be contesting from the Bijnor seat which goes to polls on April 11. Bulandshahr seat will go to polls in the second phase where the party candidate is Bhola Singh. All these BJP candidates are also sitting MPs with the exception of Kairana. BJP national president Amit Shah and UP Chief Minister Yogi Adityanath will also address the rally while all the rank and files of the party would be present. Shah and Yogi are expected to arrive here on Tuesday evening to take stock of the preparations. The past two election rallies of the PM in 2014 and 2017 had witnessed a huge turnout and the party president wants to ensure that this rally witnesses the same success. In the previous Lok Sabha elections, the BJP had won all the eight seats of the region. 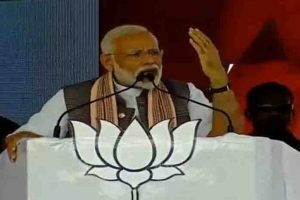 Party leaders are hopeful that Modi’s rally will be helpful in building up an environment in the favour of the party on all the constituencies where about 1.5 crore people will vote on April 11. Unlike 2014, when it was a clean sweep for BJP on all 14 seats of western UP, this election is considered a tough one for the party candidates. On Muzaffarnagar seat, Sanjeev Baliyan is expected to face a tough fight from Rashtriya Lol Dal (RLD) Chief Chaudhary Ajit Singh who is in a direct fight being an alliance candidate and the absence of a Congress candidate. The same situation is on Baghpat seat on which Satyapal Singh of BJP is facing RLD Vice-President Jayant Chaudhary. Baghpat is the traditional seat of the RLD from the times of Ch Charan Singh. Similarly, in Meerut, Rajendra Aggarwal, a two time MP who is in the fray hoping to make a hat-trick, is not expected to have a cakewalk in this election. In 2014, Aggarwal had defeated BSP Candidate Shahid Akhlaq by a margin of over 2 lakh votes but this time the challenge is from the alliance candidate Haji Yaqub Qureshi who is predicted to garner the unanimous Muslim vote this time which is about 35%. Battle would be tough also on Saharanpur seat where BJP’s Raghav Lakhanpal is facing Imraan Masood of Congress and is a tough opponent. Last time, during the “Modi wave,” Lakhpal had won by a margin of just 65 thousand votes when all other BJP candidates had won by a margin in lakhs.